British born Leon Greenman was a father and a husband living in the Netherlands at the time of Nazi occupation. Leon was unable to prove his and his family’s British identity and they were first sent to the deportation camp Westerbork and then on to Auschwitz-Birkenau where his wife Else and his son Barney were murdered upon arrival. Leon survived 18 months of concentration and labour camps and made a promise to tell his story to the outside world – a promise he kept from 1946 until his death in March 2008. The Jewish Museum is continuing Leon’s mission, telling his story in The Holocaust Gallery using video, images and Leon’s rich archive. The museum also hosts many Learning programmes to illustrate the dangers of racism and anti-Semitism and to promote mutual understanding and respect. 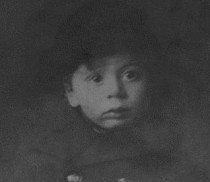 18 December 1910: Leon Greenman was born in the East End of London, Artillery Lane. His father had Dutch parents while his mother’s family originally came from Eastern Europe. Leon was the fifth of six children. When he was only two Leon’s mother died suddenly. December 1931: Leon Greenman left school aged 16 and after many different jobs his father decided that being a hairdresser was the way forward. By the age of 21 Leon owned his own hairdressing salon in East London. Leon had met Esther (Else) van Dam in Rotterdam when Leon was singing as part of the evening’s entertainment. After Leon had dropped Else home she told her grandmother that she had met her husband to be. It was because of Else that Leon had moved back to London to be able to court her as she lived in Golders Green. 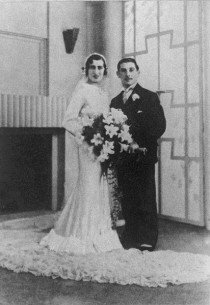 They married on June 9, 1935 in Stepney Green Synagogue. The newlyweds settled in Rotterdam. 17 March 1940: Barnett (Barney) Greenman, Leon’s son, born in Rotterdam. He was registered at the British consulate as a British subject. Leon signed a form to be evacuated with the consular staff in the event of a war. 10 – 14 May 1940: Nazis invade the Netherlands. Rotterdam is severely bombed. Else was at home with Barney and Leon was out when the first bombs fell. Leon ran from street to street trying to get home as quickly as he could. He found his wife, grandmother in law and baby son at their home, shocked but alive. The centre of Rotterdam was completely destroyed and burnt for 4 days: there was not enough water to put out the fires. Slowly but surely life became harder for Jewish people living in the Netherlands, with anti-Jewish laws being put into place. 8 October 1942: At 10 o’ clock in the evening Leon and his family were taken out of their home and brought to the outskirts of Rotterdam and from there taken to Westerbork concentration camp. Leon had given his and his family’s British passports to friends with the request to look after it, they became fearful of harbouring documents belonging to Jewish people and destroyed the documents. As there was no longer anybody representing the British government in the Netherlands the Greenmans were forced to apply for new documents at the Swiss consulate. 18 January 1943: Leon, Else and Barney are on the list to be deported to Auschwitz, even though they are still waiting for documents to arrive to proof their British identity. Else tried to talk to Kurt Schlesinger, the German Jewish camp administrator to get them struck off the list, to no avail. Barney had been very ill in Westerbork and was very weak. During the train journey to Auschwitz which lasted 36 hours Leon and Else took it in turns to hold their son and spoke of many things. They agreed that if one of them survived they could only marry again if they found a partner who could be a good step-parent to their child. All their thoughts were focussed on the well-being of Barney. 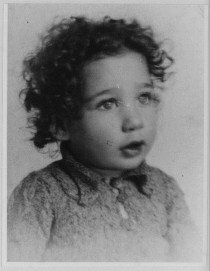 21 January 1943: Leon is separated from his wife and son on arrival in Birkenau. Out of the 750 people on their train only 50 were selected for slave labour. Leon was one of them. Leon remembered the last time he saw his wife and child: ‘I could see Else clearly for she was wearing a thick red cape over her head and shoulders to keep her warm. She gestured a kiss to me with her hand partly holding up Barney so that I could see him also’. They were loaded onto a truck, the truck went on and Leon never saw them again. Leon makes a promise to tell the outside world about the horrors of the concentration camp if he survives. 7 March 1943: Leon is sent to Auschwitz labour camp after spending two months in Birkenau. He stays in Auschwitz for 6 months and is then deported to Monowitz where he spent 18 months. 18 January 1945: Monowitz is evacuated due to the Russian army approaching the camps. Leon and 10,000 other men were marched back to Auschwitz. From there they were forced on a 90 km march to Gleiwitz. Leon was deported to Buchenwald. 11 April 1945: The American third army of General Patton liberates Buchenwald. Leon was free but he didn’t leave the camp until a few weeks later. 24 April 1945: Leon has permission to leave Buchenwald and meets Anne Matheson, a journalist from the Evening Standard. She writes an article about Leon and that is how his family in England first heard about Leon in a very long time. May 1945: Leon is recuperating in the British Hertford Hospital in Paris. He makes contact with his father via letters and is starting the search to find out what happened to his wife and son. 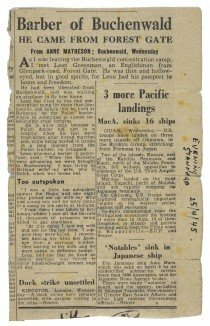 By the beginning of October 1945 Leon finally left France for Holland and arrived back in Rotterdam. He had been away for three years and two days. No trace could be found of the rest of Leon’s Dutch family nor of his non Jewish friends. Leon and his father left the Netherlands and landed back at Gravesend –Tilbury docks on 22 November 1945. There they were met by Leon’s brothers, Morry and Charlie. Leon needed further treatment to improve his health but he began to make a new life visiting the markets during the day and singing at concerts in the evenings. 7 March 2008: Leon passes away aged 97. The Jewish Museum continues to tell Leon’s story in The Holocaust Gallery using film, personal belongings, documents and evocative photographs.